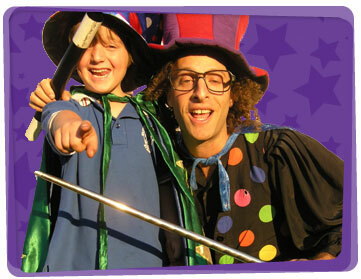 If your looking for a magician for hire, Yabadoo has the most sought after magicians for kids birthday parties in Canberra. With a trunk full of tricks for a magic show to enthral, your little Houdini’s will ponder for hours at the trickery of sleight of hand and comedy of laughs. Our kids party magician will also entertain with games (like pass the parcel), balloon art, face painting, temporary tattoos and much more. So your birthday child knows they’re special, they’ll receive an extra special modelled balloon birthday prize in the course of the show. 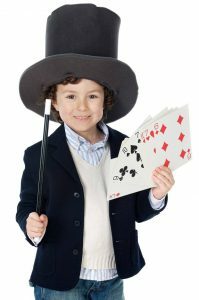 All our Magicians for hire have backgrounds in magic and drama and come dressed in bright child-friendly, professional costumes that are sure to please! If you have special requirements, that’s no biggie. 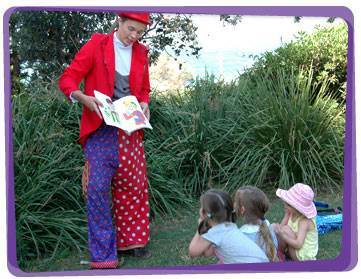 Our Yabadoo Canberra magician can tailor a personalised party package to suit your needs. With over 18 years experience in this business, we’ve entertained all sorts of audiences in all kinds of settings including kids birthday parties, corporate events, clubs, shopping centres and live stage shows to name a few. 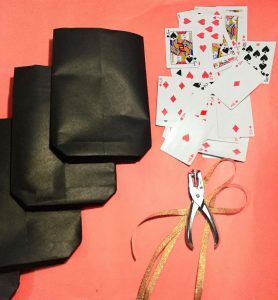 We have a fun magician game idea for your next party! It’s so simple – you can play this whilst waiting for your entertainer. Each kid gets one balloon and one wand. The children must keep their balloons in the air by hitting it with their wands. If a child’s balloon touches the floor, then they’re out of the game. The last magician who keeps his/her balloon in the air wins! You can also make it non-competitive by just letting them play until they get tired of it. 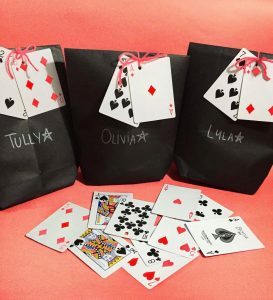 Are you also looking for a magician party favor idea that you can do quickly and easily? Punch a hole on the black paper bag. Insert one end of the yarn into the hole. Now, punch a hole in one card from the deck. Insert the other end of the yarn, then tie both ends together to secure the card. Use your marker to write the child’s name on the black paper bag, and you’re all set! Check out Party Capital for more awesome magician decorations! See them at Canberra Centre, 220 Bunda Street, Canberra City ACT 2601.